This column was written by Victor Davis Hanson. In the last three months, we've been reduced to something like the ancient Athenian mob - with opportunistic politicians sometimes inciting, sometimes catering to an already-angry public. The Greek comic playwright Aristophanes once described how screaming politicians - posing as men of the people - would sway Athenian citizens by offering them all sort of perks and goodies that the government had no idea of how to pay for. The historian Thucydides offers even more frightening accounts of bloodthirsty voters after they were aroused by demagogues ("leaders or drivers of the people"). One day, in bloodthirsty rage, voters demanded the death of the rebellious men of the subject island city of Mytilene; yet on the very next, in sudden remorse, they rescinded that blanket death sentence. Lately we've allowed our government to forget its calmer republican roots. We've gone Athenian whole hog. 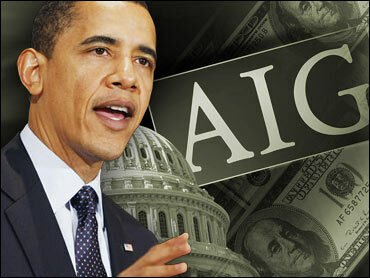 Take the AIG debacle. The global insurance and financial-services company is broke and needed a federal loan guarantee of $180 billion to prevent bankruptcy. Some $165 million (about 1/1000th of that sum) had previously been contracted to give bonuses to its derelict executives. That set off a firestorm in Congress. Politicians rushed before the cameras to demand all sorts of penalties for these greedy investment bankers. Soon, they passed an unprecedented special tax law just to confiscate 90 percent of these contracted bonuses. Those who shouted the loudest for the heads of the AIG execs had the dirtiest hands. President Obama was outraged at their greed. But he alone signed their bonus provisions into law. And during the recent presidential campaign, no one forced him to accept over $100,000 in AIG donations. Rep. Charles Rangel (D, N.Y.) was even more infuriated at such greed and helped pass the retroactive tax bill. Yet for years, the populist Rangel - who is in trouble over back taxes owed and misuse of his subsidized New York apartments - had tried to entice AIG executives to fund his Charles B. Rangel Center for Public Service at the City College of New York. Sen. Chris Dodd (D, Conn.) was the fieriest in his denunciations of Wall Street greed. Yet he was the very one who inserted the bonus provision into the bailout bill, despite later denying it. And Dodd has taken more AIG money than any in Congress - in addition to getting V.I.P. loan rates from the disgraced Countrywide mortgage bank. Then there is the matter of blowing apart the budget. President Obama inherited from George Bush a $500 billion - and growing - annual budget deficit and a ballooning $11 trillion national debt. Obama nevertheless promised us an entirely new national health plan, bigger entitlements in education, and a vast new cap-and-trade energy program. But there is a problem in paying for the $3.5 trillion in budgetary expenditures that Obama has called for in the coming fiscal year. Proposed vast additional taxes on the "rich" still won't be enough to avoid tripling the present budget deficit - and putting us on schedule over the next decade to add another $9 trillion to the existing national debt. During the Clinton years, we got higher taxes but eventually balanced budgets. During the Bush administration, we got lower taxes but spiraling deficits. But now during the era of Obama, we apparently will get the worst of both worlds - higher taxes than under Clinton and higher deficits than under Bush. In other words, we - through our government - are spending money that we don't have. We're told the rich will pick up the tab, even though there are not enough rich with enough money to squeeze out the necessary amounts. Our new demagogues, though, are arguing that this is the only fair course of action. Meanwhile, these leaders - who have taken so much Wall Street money in the past - are driving us into fury to punish the guilty on Wall Street. This is truly the age of mindless mob rule. Of course, we probably won't hear any candidate in four years assure the voters, "I won't take any more money from Wall Street and will give back any that I already got. And if elected, I promise four consecutive years of budget cuts to achieve each year $1.5 trillion in annual budget surpluses. Only that way can we get the national debt back down to the past 'manageable' 2008 sum of $11 trillion." We need such a Socrates in Washington right now, who would dare tell the American mob the truth of how we are descending into financial serfdom. But in this present mood, the aroused mob would first make him drink the hemlock. Victor Davis Hanson is a senior fellow at the Hoover Institution and a recipient of the 2007 National Humanities Medal.